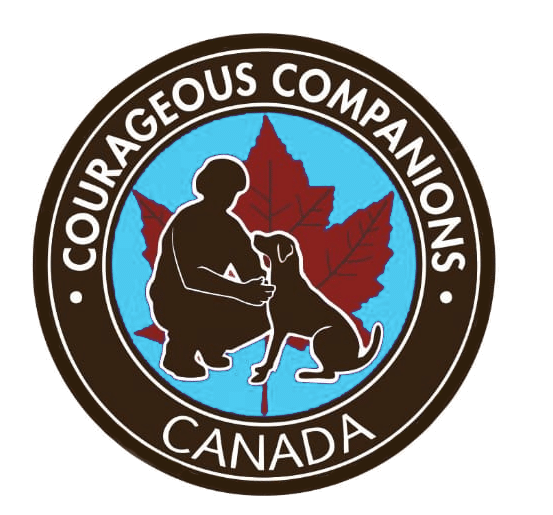 Courageous Companions is a registered charity which provides quality trained certified Service Dogs to Military Veterans and First Responders who suffer with physical and/or psychological operational injuries as a result of their service. We are a 100% volunteer driven organization that strives to restore dignity, rebuild confidence, and increase the quality of life for our brave men and women who serve in uniform. 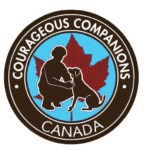 Courageous Companions is a Registered Charity under the Canada Revenue Agency. Courageous Companion service dogs are provided at no charge, and we rely entirely on donations. A Courageous Companions Elite K-9 Service Dog is a speciﬁcally molded Service Dog trained to respond to the specific needs of an individual manifesting the symptoms of physical and/or physiological operational injuries. Our service dogs are exclusively trained by MSAR (www.msar.ca), an organization that has had six service dogs nominated and two inducted into the Purina Animal Hall of Fame as ‘Service Dog of the Year’.